Reticuli, 31 Mar 2018Yes, Mi Note 2 has Oreo. xiaomi.eu_multi_MINote2_8.3.29_v9-8.0.zipPUBG game play with mi note2 ok or not ok? Mi Mix 2 & Mi Note 2 are significantly better than Mi Note 3 for gaming, but Mi Note 3 will still be able to manage Medium Graphics of PUBG. 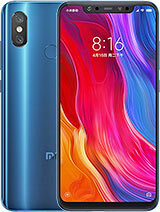 Mi Note 3 should be handle High or Medium-High Graphics and Mi Mix 2 should manage High Graphics & above. This is pretty important. Android Kernel has a "Hotplugging" program that restricts the Chipset's Performance when the temperature reaches a certain point to avoid hardware damage. So even the best Chipset will lag in games if the device has a heating problem. It's not that important, but smaller screen makes work easier for GPU, so sometimes even if a phone has lower Chipset, it can rival or play smoother than another device with a higher Chipset. This knowledge can be helpful if you're on a budget. Bagus dwi, 27 Jun 2018Mi note 2 or redmi 5? Which one better for gaming? And how much mi note2 cost on june 2018? ... moreI suggest, you choose according to the budget you currently have. Mar, 04 Jul 2018I have used mi note 2 for 10 months, it has been awesome except the heating issue and the burn... moreKeep it in rice longer. Dont charge while wet. Is it working now? Have been weeks since you posted. 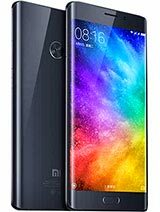 Mi note 2 or redmi 5? Which one better for gaming? And how much mi note2 cost on june 2018? 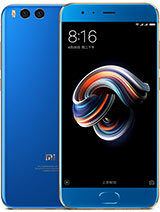 Anonymous, 22 May 2018Note 2 or Mi 6 pls where should i chooseI think you should go with the mi6 not just by having dual cameras, it has a a better processor but sill it really depends if you want a bigger phone or a smaller one. 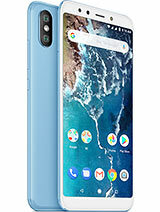 I really recommend going with the asus zenfone 5 or 5z or even the moto g6 if you want to save some money. Ordered the 128gb version for $330 from aliexpress, waiting for it to arrive. I've also compared the Mi Note 2 and Mi Note 3 and decided to go to Mi Note 2. Topnotch specs compared to the downgraded Mi Note 3. The lacks of 3.5mm jack, subpar processor, and downgraded screen was the biggest deal breaker that I did not go for Mi Note 3. I do agree that the Mi Note 3 sports a better camera but I'm not really into photography. 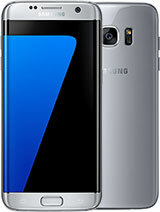 I think both phones are good, it depends on how you use it and what features do you really need. 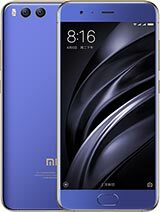 Total of 512 user reviews and opinions for Xiaomi Mi Note 2.